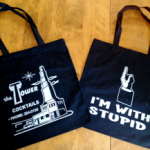 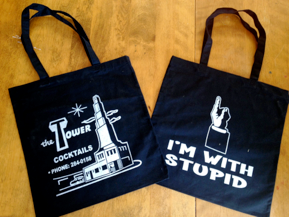 Buy Tower Bar Hoodies, T-Shirts, 24 Man Can Beer Coozies, Stickers (original vintage design), tote bags, Hats. 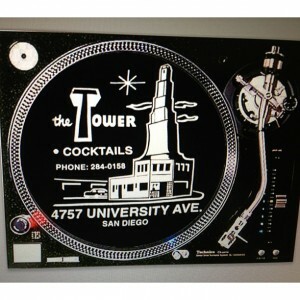 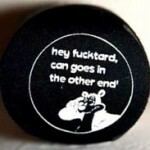 You can also call (619) 987-8493 to order. 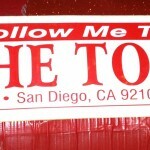 Paypal accepted. 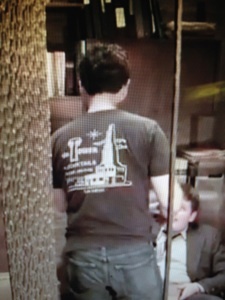 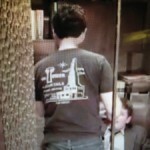 JJ ABRAMS (Lost, Felicity, Mission Impossible III, Star Trek) sporting a Tower Bar t-shirt!